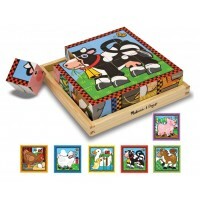 This wonderful wooden Zoo Animal Block Puzzle makes an ideal first puzzle for children aged 24 months and above. Each of the 9 chunky wooden blocks is beautifully painted with part of a zoo animal. 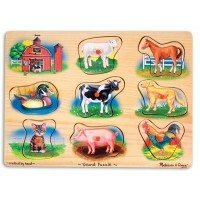 There are 6 different zoo animal puzzles for little ones to solve. 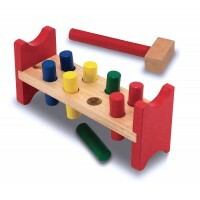 This traditional wooden toy is ideal for children to learn problem solving and hand-eye coordination. Size: 28cm x 18cm x 6cm.